The block glass candleholder from Rosenthal convinces with its heavy material and the transparency, which contrasts with it in an exciting way. The candle holder in the functional Bauhaus style is available in different sizes, which can be wonderfully combined with each other. Made of solid glass, the candle holder stands like a tower on a table, windowsill or sideboard and is equipped with a conventional rod candle for beautiful light. The light of the candle is reflected in the glass in an extraordinary way. Matching the block glass candle holder is also a block glass ashtray available. 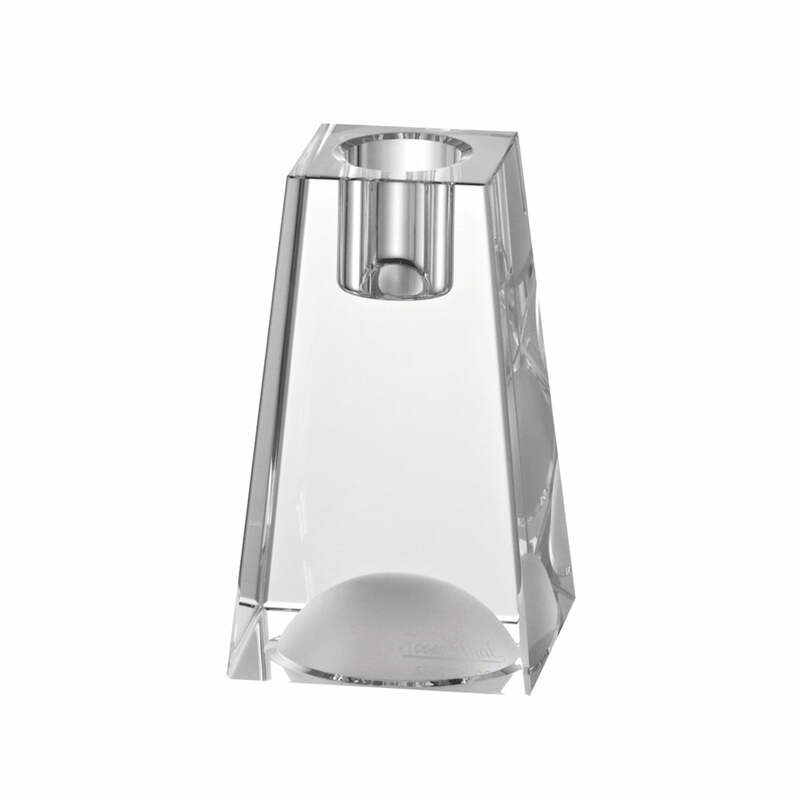 The block glass candle holder 5 cm from Rosenthal in clear single product view. The solid glass candle holder is suitable for conventional rod candles. The block glass candle holder 10 cm of Rosenthal in clear in the product single view. 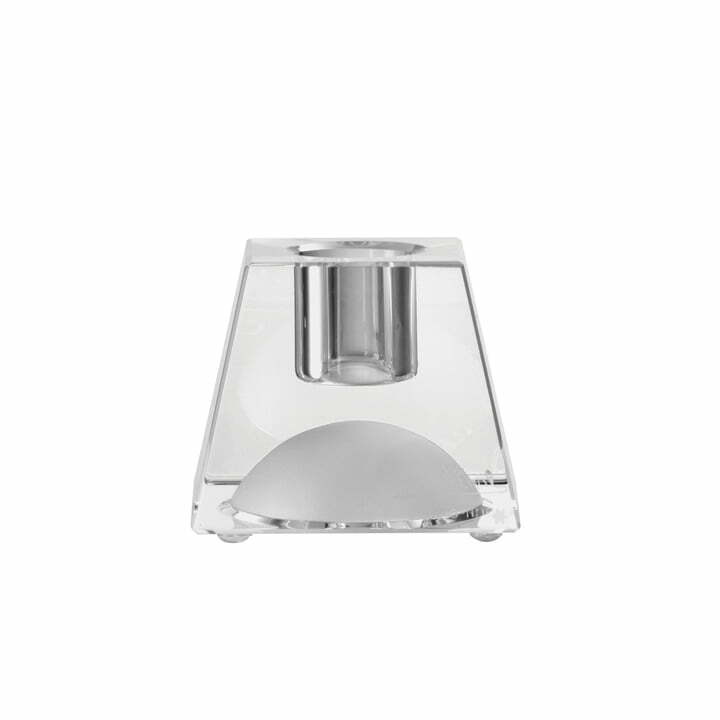 the candle holder from solid glass is suitable for conventional rod candles.